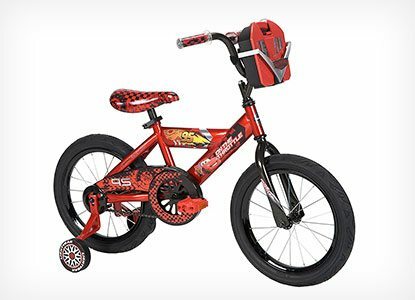 When looking for the perfect bikes for 5 year olds, it might be a bit confusing as they all have different features, colors, heights and more. But worry no more, as we’ve written this list to help you find the most size-appropriate yet still seriously cool bike for your little one. Save some pennies and use an older child’s unused bike, or one from a thrift store/selling site and create a much cheaper (and brand new to them) balance bike for your little ones. By following this DIY on instructables.com you can find out just what you need, and how to do it. Save any confusion with technical bike related words that you have to ‘Google’ to even understand, and follow this easy, simple to read DIY no-pedal Balance Bike tutorial instead. It roughly takes only 20-30 minutes, and we think it’s definitely worth the effort, as you save those pennies too – what more could you want? For this DIY Balance Bike you just need an old 12 inch bike (bigger if your child is on the taller side) and a hacksaw. As the writer states, balance bikes (aka strider bikes) can be really expensive, so it’s worth making your own – plus you get the proud satisfaction afterwards, even better.